529 Plan, What is that? Written by Lawrence Sprung on 12 June 2018 . In 1996 the Small Business Job Protection Act created 529 Plans, also known as “qualified tuition plans”. This account which allows taxpayers a tax advantaged way to save for education expenses allocated for a designated beneficiary, after 22 years, may be the account that most know nothing about. According to a recent survey by Edward Jones, only 29% of Americans are even aware that 529 plans are available as an education savings vehicle. One would think this is a scary statistic, but even more frightening is that only 13% of families used 529 plans in 2016-2017, according to a 2017 Sallie Mae Report. This is quite a staggering statistic, considering the rising debt being incurred by college students. When you think about the enormous costs of sending your children to school, which according to the College Board is $46,950 for the average private four-year school, you would think that more people would be using all tools available to them to save for college. The 529 savings account can be an excellent tool to begin to save for this lofty expense. The monies saved for your respective beneficiary grows tax free as long as you use it for higher education. Keep in mind that the recently passed Tax Cuts & Jobs Act has added provisions that may allow you to also use these funds for K-12 expenses. You will want to check with your individual state, as your 529 plan may not follow the new tax law. There is a struggle for most people to balance saving for college and for retirement at the same time. This is a fine balance that needs the attention of proper planning. Although you will not be able to borrow money for retirement, you will be able to do so for college, and you will want to have a plan in place to address both. Not having money in place for your children’s education may have an impact on your retirement down the road, but at the same time, overfunding your college savings at the expense of your retirement accounts will do the same. The key here is to have a strategy in place that will allow you to save for both. Just like we advise clients to start saving for retirement early, it works the same way for education too. 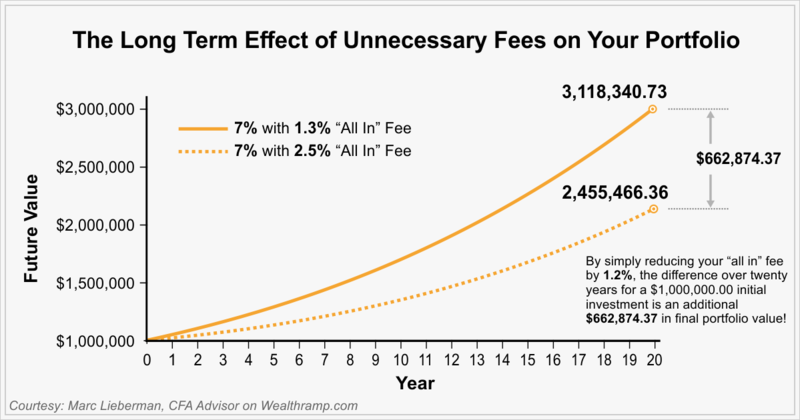 The more money you save for college early on, the less money you will have to add later on because you will benefit from the concept of compounding. Think about it; if you start working after leaving school and start funding your retirement right away, you will be in a position to lower your retirement contributions when you have children and be able to start allocating the difference to their college funds. Depending on how many children you have and what your goals are for supporting their education, you may be able to shift this strategy back by the time your child is ten years old. Getting caught with a child at the age of eighteen and having nothing allocated for college education will, in most cases, place a strain on your financial situation. 529 plans can be a vital tool in your education funding savings strategy. I think it is disheartening that this tool is not well known and very much underused. It is vital to engage a fiduciary advisor as early on in your life as you can. This relationship will provide you with an advisor that can be in a position to guide you, advise you, and see you through the planning of your life to make sure you are financially prepared for all of the events ahead of you. This will be a relationship that will guide you through the financial ups and downs of the lives of you and your family. The goal is to make sure you are aware of the options that exist and the best ways available for you and your family to save for your financial futures. Mitlin Financial assists our clients in addressing their college funding needs. We are here to help you instill these concepts within your own family. Feel free to contact us, Mitlin Financial, at (844) 4-MITLIN x12 if you or someone in your family needs assistance in getting started on their plan today. This article represents the opinion of Mitlin Financial Inc. It should not be construed as providing investment, legal and/or tax advice. Written by Lawrence Sprung on 29 May 2018 . Financial advisors are always preaching the importance of a financial plan, and I believe they are important too. Mitlin Financial’s belief is that a financial plan is paramount to reaching and exceeding your financial goals. Most people spend more time planning their family vacations than they do their financial lives. Having a life plan is an important factor when designing and developing your financial plan, and it is frequently overlooked by financial professionals. What is a life plan? How does this integrate and/or affect my financial plan? Essentially, a life plan is having a plan for what you are going to do with all the free time you will have when retired. As a firm, we spend a considerable amount of time having these types of discussions with clients when we begin the planning process. This conversation continues as they approach their retirement date. We all have different ideas as to what our ideal retirement is going to look like, or what it means to us. In some cases, retirement may mean never working another day in their life, while others may look at retirement as the day they wake up in the morning and know they do not “have” to go to work, but may continue anyway. Some may simply slow down and maintain a part-time job. The fact is that most people are preparing themselves financially for retirement, but not thinking about the emotional and life fulfillment aspects of retirement. Many of us will spend upwards of forty-plus years working, and raising a family, and we do not have time to develop hobbies and outside interests to keep us busy during retirement. In most cases, people do not view their ideal retirement as not going to work and sitting home all day to watch television and old movies; there has to be something more meaningful than that. When thinking of retirement, most people still want to be productive members of society. It is for this reason that you must begin to think about a life plan as part of your financial plan. It is imperative to think about how you will spend all of this free time that you will now have since you will no longer be going to work. You may decide that golf, fishing, travelling, watching after your grandchildren, consulting or having part-time employment may be your life plan, and these are all great things. It is important that you know what your plan is and refine it as time goes on. Thinking about your life in retirement is the equivalent of using a telescope to look out and see how you would ideally like to be spending your time in retirement, and what you will need financially to support that. Then, it is important to dial the telescope back and use a microscope to see what you can do today to help you get there. This may mean adjusting your priorities to begin getting involved in some of those activities you plan on taking part in now so you have the knowledge, the ability, and the social circles to support your involvement. You will also need to make sure that you are in the right financial circumstance to support it as well. As an example, if you plan on retiring and travelling around the world sailing for a few years, you need to make sure that you have the skills and the desire to embark on that type of trip. In addition, you need to make sure that you have the financial wherewithal to support it. We find that those that have their life plan and retirement plan in place are the most successful at having an enjoyable retirement. People who have addressed a retirement plan from a financial aspect- which is a minority- typically have not explored their life plan, and this is a recipe for disaster. Imagine retiring and having the financial ability to sustain yourself for the rest of your life, but you have no idea what you are going to do with that time. This is a major contributor to why we are seeing people working longer and later in life. Although some of these individuals have no other choice than to work, for financial reasons, many of them continue to work because they failed to design their life plan for after work. Not having a life plan for retirement has caused them to continue working so they can still be a productive member of society, and not someone that is sitting home doing nothing. Mitlin Financial assists our clients in addressing both the financial and life planning they need to be successful in retirement. We are here to help you instill these concepts within your own family. Feel free to contact us, Mitlin Financial, at (844) 4-MITLIN x12 if you or someone in your family needs assistance in getting started on their plan today. Written by Pam Krueger on 03 May 2018 . Delaying the full implementation of a rule that protects consumers from subpar advice means clients who rely on the big name broker-advisors for serious investment advice for their retirement savings are leaving themselves wide open to conflicts of interest and more potential risk. The conflicts includes aggressive sales tactics, but most of all, these brokerage clients may not even realize when they opened their brokerage account, they also waived their legal right to sue the advisor (or his firm) if the advice turns out to be totally inappropriate and the client loses money. Written by Lawrence Sprung on 30 April 2018 . Many investors are curious as to when they should begin to invest for their retirement. You will often hear people saying that you should start as early as possible, but what does that mean and how will that help? I wanted to take the opportunity to explain when you should begin saving, if you can, and what the effects can be if you do not. We would recommend that you start saving for your retirement as soon as you have an income. Income does not necessarily mean a full time job. You could be receiving income as early as you are able to get your working papers. Starting this early will help instill a number of great values in our kids: it will expose our children to the fact that they need to plan for their future, the benefits of investing, tax deferred or tax free growth, and a discipline to live below their incomes. These are all great life lessons that some learn too late. In order to outline this, let’s look at a real life example. Let’s assume that you have two children; Jane and John. Jane will begin to save at the age of 25, and John will begin at the age of 35. Jane and John will each begin to contribute $5500 per year from their beginning age until the age of 70 and invest it in a way that will compound at an annual rate of 6%. So what would Jane and John have accumulated by the age of 70? Jane’s account would be over $1,200,000 and John’s account would be just shy of $650,000. This large difference is predominately due to John’s late start. He was affected by the fact that he was not able to contribute as much money and therefore lost the benefit of the extra 10 years of compounding. Both these concepts significantly impacted his long term balance. Jane would have contributed $247,500 over the 45 years she invested, and John invested $192,500 (a $55,000 difference). The key here is that starting early really benefitted Jane and will benefit you too. Keep in mind that our example does not account for fees, taxes or inflation. I would also like to point out that the likelihood of receiving a 6% return every year is somewhat unlikely and it is more likely that you would have a different rate of return each year. As you, your children, or grandchildren begin to work (even on a part time basis), be sure to have the conversation about having them “pay” themselves first and begin to think about their future. Setting up a Roth IRA will really benefit them if they are younger and in a lower tax bracket. In order to illustrate that I practice what I preach, I would like to share a personal example with you: my 14 year old son works for me during the summer months in order to have spending money for the summer and school year. We sat down and discussed what he would be earning and devised a plan that would provide him with the spending money he wanted and funded a Roth IRA as well. Think about how your financial position may be different if you began saving at the age of 14. Not only has this put him in a position to be ahead when planning for retirement, but it has taught him the value of saving and how to manage money. We discussed how to invest the money and he has the ability to monitor his account and see how it is performing. We need to get ourselves, our kids and grandkids retirement ready and this will surely help. We are here to help you instill these concepts within your own family. Feel free to contact us, Mitlin Financial, at (844) 4-MITLIN x12 if you or someone in your family needs assistance getting started saving today. Written by Lawrence Sprung on 09 April 2018 . Planning for your financial future is just as important as making sure you are covered in the present too. The odds of becoming disabled or incapacitated at an early age are alarmingly high. According to the Council For Disability Awareness, roughly 1 in 4 of today’s 20 year olds will become disabled before they retire. Assuming you make it until retirement without being disabled, there is still a high likelihood that you will become incapacitated at some point in your life. In addition to dealing with your health, if found in one of these situations, how will you handle your bills, make investment decisions and handle other financial matters? The power of attorney (also referred to as a POA) will allow a designated representative of your choosing to step into your shoes, as if they were you, and handle these matters on your behalf. You can also elect to limit the areas they can act, and those that they cannot. It is important that you choose this representative wisely as they have significant power and can essentially do anything you allow them to as if it were you. As an example, your power of attorney -if given the power- could withdraw money from your bank account, sell assets, or purchase items on your behalf. Now you can see why it is important that you select the right person. Keep in mind that the POA documents may vary by state and we always recommend using a competent attorney to draft them for you so they will serve the purpose intended. This is a time that you would want to rely on your financial team to help you protect yourself from an unforeseen event. There are also are two types of POA’s: durable and springing. Your goals and objectives will dictate which type would be best for you. A durable power of attorney is one that is in place the minute you execute the document, and therefore, the designated representative has the authority to act on your behalf immediately. The springing power of attorney is a bit more complicated. The idea behind the springing POA is that it will allow your designated representative to “spring” into your shoes when necessary. This will typically require some type of evaluation, by a medical doctor, certifying that the individual is incapacitated and the POA is warranted to “spring” into their shoes. This can, at times, create a hurdle in being able to plan and take care of the financial affairs of the incapacitated person. This added step can cause some vague areas that may be interpreted differently when looking to take care of the person’s affairs. We find that the durable power of attorney, practically speaking, is a better option and creates less headaches at the time the POA is needed. There are many reasons for which you should have a power of attorney once you turn 18 years old. When you are 18 and are considered a legal adult, it is wise to designate a POA in case you become disabled, incapacitated or simply decide to travel internationally and need someone to act on your behalf in your absence. I know we have discussed incapacitation and disability, but think about when your child went to study abroad while in college. What if you needed to take care of some of their personal financial matters in their absence? This is where the POA would come in and allow you to transact whatever is needed on their behalf. The POA is one of the most important and powerful documents that you should have. This planning tool has nothing to do with net worth or situation. Essentially, it is key for anyone over the age of 18 to have one in place and available if needed. You have the ability to update it over time so you are not locked into your choice of who you designate as your representative in perpetuity. As your life circumstances and relationships change, you can update this document as well. We would suggest that if you already have a power of attorney you should make sure that it still important to review it and make sure that you have it set up the way you want at this time. Contact Mitlin Financial at (844) 4-MITLIN x12, if you are over the age of 18 and do not have a POA in place. We can introduce you to an attorney that can address your needs and protect you in the event that you need someone to act on your behalf. Volatility: Is it all bad? Are Your Adult Children Still On Your Payroll? @calebsilver @ChrisSonzogni @JillMalandrino @Nasdaq @TradeTalks @Investopedia Financial Literacy is such an important subject! !